First - my services are all focused on your improvement. Every successful executive can tell you about the times he or she needed a mentor or coach that helped him/her climb to the next level. And every successful business owner has relied on a trusted advisor to make the jump from barely breaking even to enjoying profits. I use partnership and proactive model that works with you on improving your needs in the areas of time, team and money. 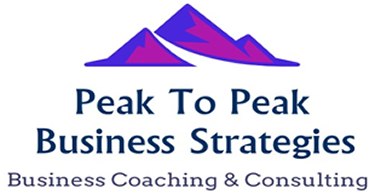 I deliver these coaching sessions based on your needs: 1:1 coaching, group coaching, via skype, training, workshops and speaking engagements. Balance is so important to enjoy a prosperous and fulfilling life - personally and professionally. Executives need to be armed with the very best in time management skills so they are focused on customers, employees and their own families. You need to hire, manage and inspire top talent to enable your vision of success. So, you will learn how to delegate, create a sense of urgency and purpose for your team. And you will learn how to positively influence their performance. You will soon begin to perform at an exceptional level that benefits your company, your family and your community. Small business owners where many hats and are often pulled in different directions. Maintaining focus and working through proven business concepts, is what I will bring to the table. I will help you address the competitive challenges you face through strategy and tactics that will generate profitable growth. You will get the tools that will help you increase your revenue, and find precious time for family and friends. The best leaders have excellent leadership skills. They know how to listen, motivate and help their sales teams. You may have been an exceptional sales professional and now have the role of being the sales leader. You will need tried and proven tools to enable you to move from sales professional to sales leader. I will coach you to make the mental shift, show you proven techniques for hiring and developing the right sales team, building accountable sales metrics, and coaching for top line sales revenues. I will coach you in building your reputation for being a great sales leader because you will know how to leverage your strengths, and those on your team. You will learn how to master the role. Sales, is the art of relationship building and the science of sales. Knowing the critical steps will ensure you move clients through the selling process and close the deal. I will analyze your strengths; get to know your gaps and work through to build bridges that ultimately bring success. Each new client will be another opportunity to become a loyal and repeat customer. I will show you to make each engagement count. Everything DISC Communication Workshops - This half day or full day workshop is ideal for teams to learn how to communicate more effectively and improve performance. The workshop can pertain to internal teams as well as people who work with Customers and prospects. Embracing the Success Mindset - This fast-moving, interactive, multi-media workshop uncovers the most important yet most overlooked piece in the puzzle of success in business and life. Participants will learn what is holding them back, how to make changes and what they need to do to get the success they want and deserve. Time Management in the 21st Century - No skill is more closely correlated to successes in business and in life, than the ability to manage your time well. Participants learn about updated time management skills to maximize their productivity, eliminate time wasters, and balance work and family. Strategic Planning - Learn or review the basic building blocks of strategic planning from assessing past years goals, understanding gaps and the value proposition of the organization. Deep discussions follow and action items are identified to achieve new heights. Communication Breakthroughs - This workshop explores using the basics of DISC to improve effectiveness in communication and interpersonal relationships. Participants know their own style, and how best to communicate with others to enjoy successful interactions and relationship building. The New Realities of Selling - In today's market, the ability to survive and thrive demands that people be flexible in rapidly changing conditions. During this fast-paced interactive workshop, participants learn about the Sales Success Mindset, Relationship Selling and Closing the Sale. Strategic Leadership - A discussion of how the alignment between your purpose, values, and beliefs affect your leadership abilities. When any are out of alignment, enthusiasm and drive wanes, and the people you support can feel it. Examples of great, average and poor leaders are dissected to uncover how to turn the tides. Everyday scenarios are also discussed to help individual participants uncover how to gain alignment and be the best they can be.